In 2002, I was commissioned by the Foothills Theatre in Worcester to adapt this Dickens classic. 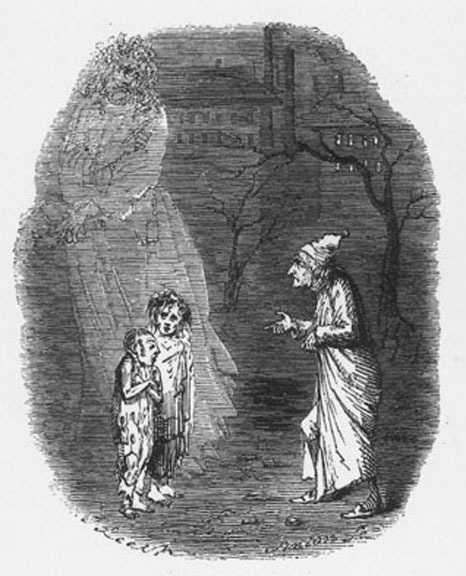 Since it had been adapted 6,729 times previously, I thought it would be a good idea to try a few new things, all the while maintaining Dickens' intent, style and untouchable (sort of) story. So, basically, what this adaptation provides theatre companies is an opportunity to stage the show with a little bit more humor than is usually the case, plus, it cheats on the Dickens storyline just a tad by bringing Scrooge and Belle together again at the very last moment of the play. When staged accompanied by a full cast singing a sweet Christmas Carol, the moment works splendidly.